Communication has many functions. We use it to make choices, for requests and rejections, to ask questions, to gain attention, to build relationships, to make comment and provide or seek information and to express feelings. For those with emerging, limited or no verbal language these functions of communication can be especially difficult and cause stress anxiety and behavioural responses. Ideally a speech pathologists should assess and develop a communication intervention and plan. In the interim the following are three models to get you started in the communication process with your child. Select items and present either the actual item, a picture of photo. 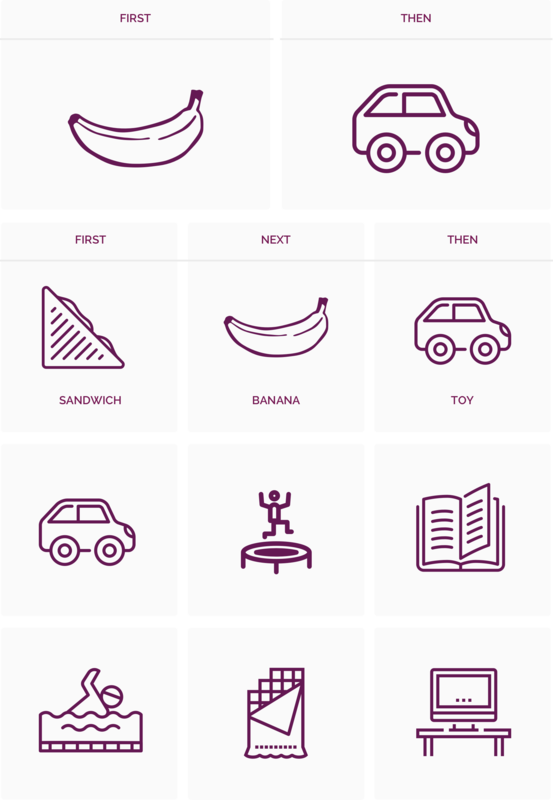 Point to the item ‘First banana then car’, gradually build up to the further levels of complexity.